This kingfisher will usually be seen perched on low branches or on logs etc over a stream where it can easily observe and dive for prey. 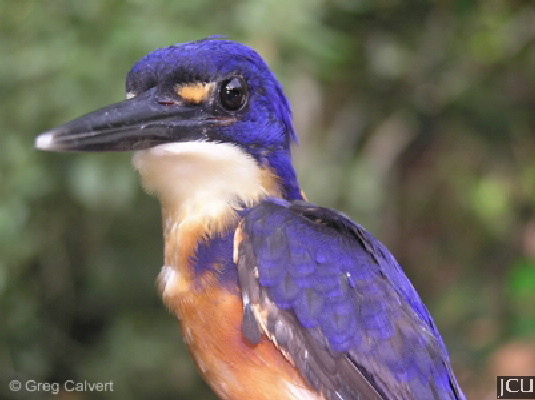 The upperparts are blue and underparts rufous-coloured with a distinctive rufous-coloured spot in front of the eye and a whitish flash on the throat. The blue tail is short, legs and feet are orange, eyes dark brown, bill long and thin and black.